How To Get A $100 Discount On All Microsoft Surface Pro 4 Models? 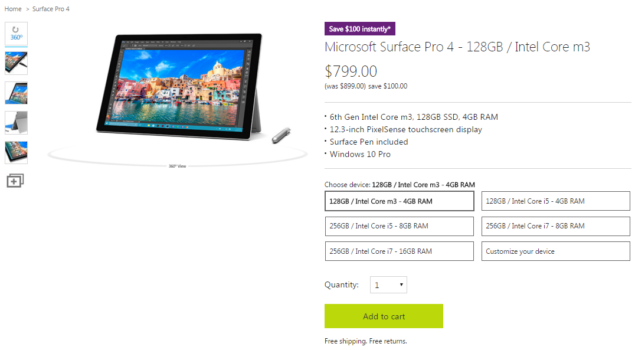 A hefty discount on an expensive product is always a welcome sight and seeing as getting yourself a $100 discount on a Surface Pro 4 is something we have been wanting to see for a very long time. So how can you take advantage of this offer? We will tell you how. On the Microsoft Store, the company is offering an immediate $100 discount on all Surface Pro 4 models, expect those that feature 1TB of storage. Regardless, even getting a $100 on the 512GB storage is not a bad deal to avail at this time. If you want to know more about the product, we have detailed out proper information for you for the company’s flagship tablet and its hybrid product. Unfortunately, Microsoft has not provided a discount for its Surface Book, which is quite disappointing. If you want to experience the best of what Microsoft has to offer, then we highly recommend that you save up sufficient amounts of money for either one of the products. It’s because Surface Pro 4 is going to set you back by $2,699, while Surface Book is the more expensive model, with a $3,199 price tag. Another thing that you should be reminded of is that there are going to be no accessories provided to you in this discount, which is a darn shame. 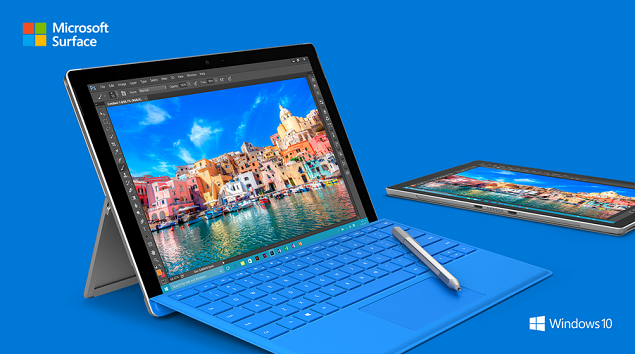 The only thing that you will be getting is a Surface Pen. 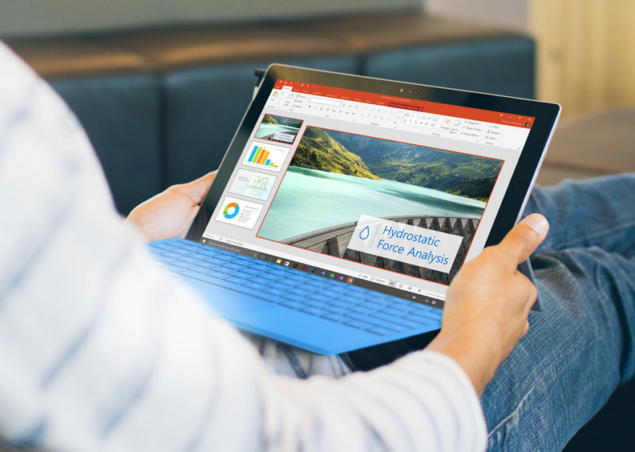 The base model of Surface Pro 4 is powered by an Intel Skylake Core m3 processor, while the highest model features a Core i7 CPU. The base model is also incorporated with 4GB of RAM, along with 128GB of flash storage. Out of the box, Surface Pro 4 is running Windows 10, and you will be receiving its updates in the foreseeable future. Apart from this price slash, Microsoft has grown a huge heart it seems because the software giant is also offering a $50 discount on its Band 2, which was originally priced for $249.99. Keep in mind that this offer will remain active till February 27, so make sure that you have taken advantage of this offer. Hopefully in the foreseeable, we should be able to see even more discounts for the slate, and perhaps for the company’s first ever hybrid. Regardless, tell us what you thought about two mobile computing beasts? We will wait for your answers in the polls below.